The wine festival is held on the grounds of Rockfield Manor in Bel Air, Maryland. This historic landmarked facility, built in 1921, has come to be a part of the town, its community and heritage. 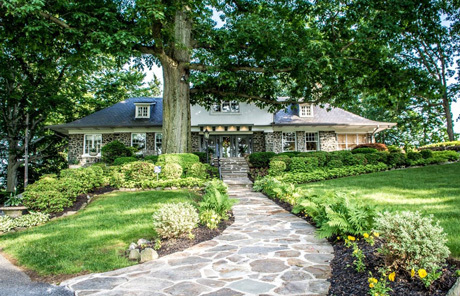 The Rockfield Foundation Inc., is a non-profit corporation which is managed by a volunteer Board of Directors to promote and operate Rockfield Manor for the benefit of the Bel Air community. The manor has a deep history in Harford County. The property the manor sits on dates back to 1782. This history inspires our mission to foster community connections with both our residents and its businesses. The finances needed to preserve Rockfield Manor stems from the events created and hosted throughout the year. The Harford County Wine Festival is our signature event which aids greatly in sustaining this mission. The Rockfield Foundation, Inc., also partners with other non-profits in Harford County to help them fulfill their missions. This is a great example of non-profits helping non-profits and that’s a win for all the greater good. Click here to learn more about our Manor.